As the husband of a stellar Creative Memories consultant, I'm lucky that my wife not only earns some of the company's incredible incentive trips, but she's kind enough to take me along with her on occasion :) We recently attended the CM trip to Paradise Island, Bahamas. 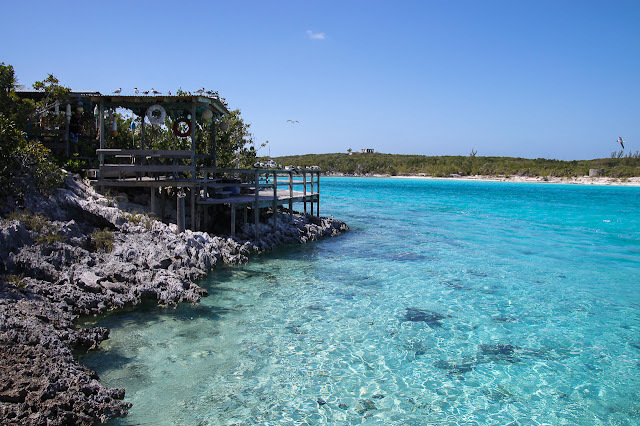 One of the excursions we could sign up for ahead of time was a day long boat trip to another island in the Exumas that included a snorkeling stop as well. The adventure was an experience to remember. So if a hiking trail by the Chesapeake Bay is named the "Bay Overlook Trail", is it too much to ask that it actually overlook the bay?